My VR/CAD station...Overkill on rads, but it's quiet. Loving the Dan Ricciardo reference! That's super tight with the dual rads! Looks great > well organised layout. Very sharp looking build. What’s the back side looking like, could you post some pics ? Back needs more work. I may be trying a different layout and parts soon so I'm holding it off. Hi! Love this build. I have been coming back just to admire it and dream about one day building something similar myself. I just registered to ask you 2 questions. 1: what is the metallic piece under the graphics card that says "4th lvl"? 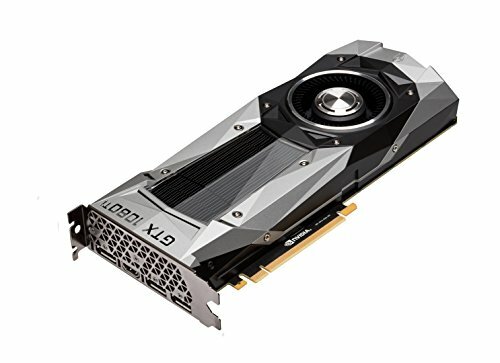 Is it part of the graphics-waterblock or a separate piece to prevent gpu sagging? 2: what is the metallic bottom piece of the pump/resorvoir? Is that included when you buy the combo or where could you find/ what do you search for to find that piece? 1: GPU brace 2: Barrow DDC pump heat sink. Ordered from modmymods.com. The screw holds the EK-uni holders, bottom plate, and the pump feet altogether. You can screw into the bottom of the EK pump feet(you'll know what I mean if you look at the EK pump manual). BTW, In the current photo, I've changed it to the Barrow DDC mounts instead of the EK plate. This is a very clean, custom loop. Well done and thanks for sharing this beautiful computer. Please take my one. Very nicely done! What kind of temps are you seeing and how fast are your fans running? I'm running 3.8GHz normally. 36C in idle silent mode. Tops out a 49C @ 100% fan and water flow running Aida64 full stress test. I've never tested the limits of this chip, but it should hit 4.0+ no problems. I can't stop looking at it. It's perfect. I actually cannot think of a better way to put a custom loop in this case(which I have been trying to plan for a long time), and I'm incredibly jealous. Beautiful build! Though I'm curious as to why the rear fan is set to intake. Rear fan is on intake to help cool the DDC pump and feed more air to the top radiator. I wish that fan can go lower to get better coverage on the pump. The pressure is positive in the case and all intakes are filtered. Alternatively, I guess I can lose the fan and maybe have room for a small D5 pump/res instead. The rads has enough headroom to cool the D5 also. Ah, interesting. I wouldn't have guessed! Super clean build. Definitely, one of my favourite builds. Fans are not enough to light up the whole case. It's good ambient light, but I got the RAM and 3/5mm LED on water blocks & res to make it brighter. You probably can put LED strip w/o the rad. It's pretty tight, but you may end up w/ a slight tilt. I'm not a fan of LED strip so I can't tell you for sure. I'm tempted to throw some dirt on this built because IT'S SO CLEAN! how much did the custom loop cost in total? The 1080ti FE is 270mm out of the case. 30mm. Check where your ram slots are compared to the Asus Crosshair mobo here. I've upgraded this system to Threadripper and all the mobo ram slots are higher so that was a problem. I had to dremel off a tiny part of the case to make the rad fit. Good point on the ram slot position. My mobo is a STRIX X370-F Gaming and the slots look quite high up as well, so it doesn't look all that promising at this point. Guess the best thing to do is wait for my parts to arrive and do some measurements first. very late reply but wondering if the strix F gaming worked with the cooler in meshify? Insane! I have a question if you don't mind. It would be possible to fit the pump in the bottom with the front radiator using the current pump bracket? Thanks in advance. The pump will fit in the shroud hole, but you'll have to think about how to fit the tube in. There very little clearance if you do that. I have a drain valve down there too. really solid water cooling my dude. i may take some inspiration. No. You cannot push pull like you can with Define C, with this setup. That's a shame because this is the better airflow case. Thank you! 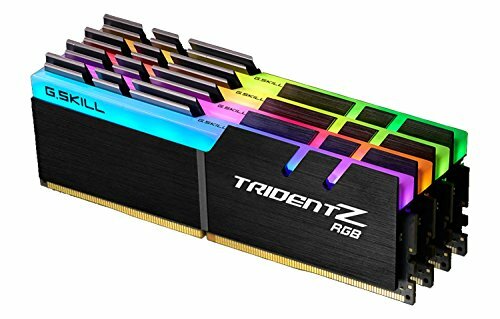 I'm trying to figure out whether or not I can use Trident Z RGB with a top mounted radiator in the Meshify C. I have quite a few builds saying it can, but Fractal Designs website and this one 28mm radiator build saying that it can't. Yours is 29.6mm in width. I've seen someone fit a Kraken in there, which is 30mm, so I think I can fit an S24 in there while keeping my Trident Z RGB. Check your mother board. The crosshair VI is fine. The white meshify C is using a matx board with the ram slots higher up than the crosshair. Ohh, thank you! I hadn't noticed that... Oops. Thanks alot for the help! I'm certain that there can be an S24 up there now. See my response to ThugginMcMuffin above. Check my build inspired by you. https://pcpartpicker.com/b/PVBbt6#description - Of course I didn’t do the closed water loop i’m not mad yet lol - I well try to lower RGB fan brightness later to get that stealth look! 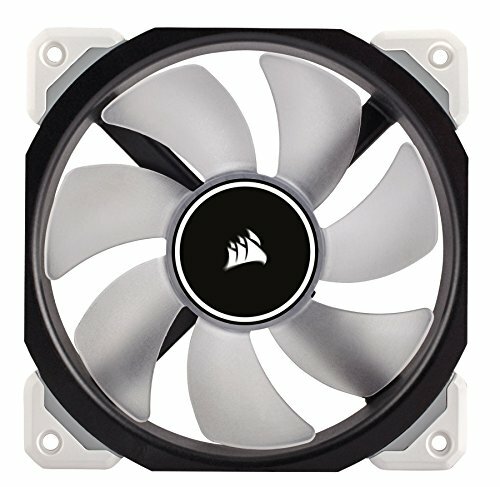 How did you mount the radiator behind the Corsair fans at the front? I am doing a very similar build, except i am using an NZXT kraken AIO cpu cooler(though the radiators appear to be identical). The screws that come with the AIO are only 30mm long, which isnt quite enough to get through the fans and still mount them to the Radiator. Did you have to get custom screws? or did you come up with a different method for mounting it? Nope. I’m using the standard 30mm screws. If you use longer screws, make sure the screws aren’t too long or you may damage radiator fins. Thanks for the tip! I just recently finished my build with an AIO cooler and found them to just fit - it simply seemed a bit too short given the Corsair fans are a bit thicker than the cooler's included fans. Used your completed build to inspire my own(a little), please check it out! Complete water cooling noob here so please excuse me if I'm asking something really silly. Does this loop have 2 pumps? It looks like there's a pump at the bottom right next to the 360mm radiator. And I think the reservoir also has a pump included right? What is that red pump at the bottom? That's a PrimoChill flow indicator. EK Res/Combo on top. aaahhh that makes sense! thank you!